Accommodation: Hotel accommodation has been secured either in Oberammergau or close by in the picturesque villages of the Bavarian Alps. Please note that single and triple rooms are not available for the Oberammergau stay. Solo travelers and triple share guests will be accommodated in a twin room with a fellow solo traveler (of the same gender) for the duration of the stay. Itineraries: Itinerary details such as hotels, meals, sightseeing inclusions, and price are subject to change. Payment conditions: For bookings before September 30, 2019, on reservation an initial $350 per person, non-refundable deposit is due. On September 30, 2019, an additional $225 is due to confirm Passion Play ticket. For bookings from October 1, 2019 onwards, a non-refundable deposit of $575 per person is due on reservation. Final payment is due 90 days prior to trip departure. Bookings made within 90 days of departure must be paid in full when booking. 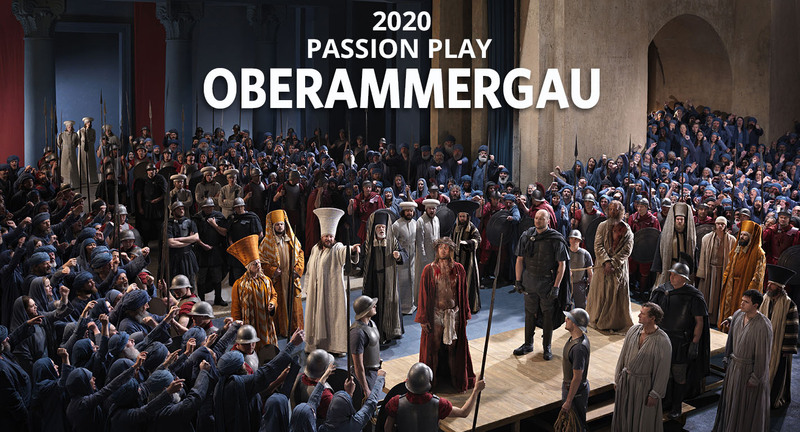 No Early Payment Discounts, nor any other discounts, are applicable to the Oberammergau portion of the trip. Any fuel surcharges and/or government tax increases will still be payable by the guest. Please note indicative prices are available on our website and final prices will be confirmed by August 31, 2019. If the overall Oberammergau & Trip price increases more than 15%, guests are eligible to cancel without penalty; if the price decreases, guests are entitled to the lower trip price.